Jordan Duffy is a New England singer, songwriter, musician, audio engineer, & producer. She recieved a B.A. in Visual & Performing Arts; concentration in Music from Worcester State University in Worcester, Massachusetts. She continued her education getting her Certitification in Audio Engineering from Recording Connection (Mentor Dr. Barry Johnson - TNT Studios). She has been an opening act for guitarists Dickie Betts, has traveled to Italy singing for Pope Francis as well as also across southern Italy with the WSU Chorale, has been featured on a Ska Punk Compilation Album, made her Radio debut in January 2018, and is now in the process of recording her full length album. She currently resides in Los Angeles, California where she works as an Audio Engineer for Earwolf Media, as well as being an Audio Engineer, voice actor, and assitant producer for the Level Up Lore Podcast. 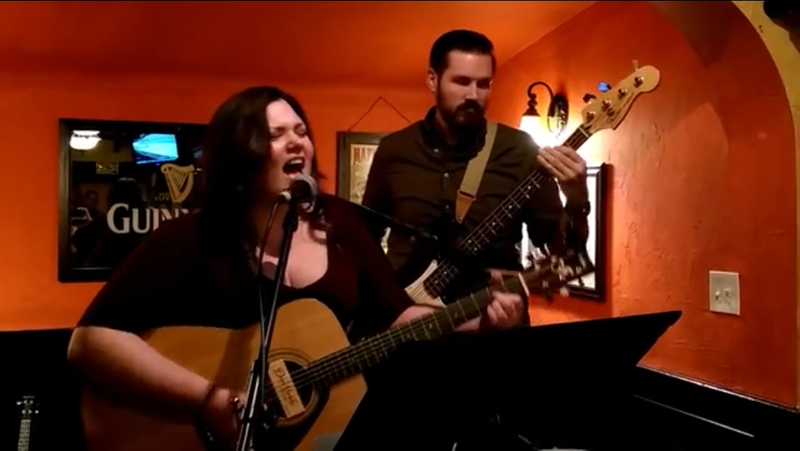 ​She performs locally at clubs, bars, restaurants, and more.